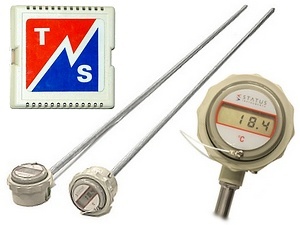 In additional to Thermocouples and Resistance Thermometers, we offer other temperature sensor assemblies and standalone systems, which typically encompass both thermocouples and PT100s. 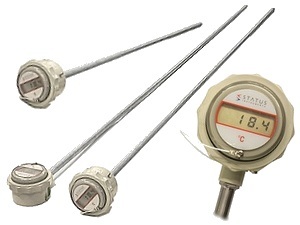 We make large metal sheathed temperature probes with a battery powered digital temperature indicator built into the head. They are typically used for immersion in liquid tanks and food or chemical processes. We make a selection of wall mountable air temperature measurement units that are often used for environmental monitoring.